The numbers speak for themselves: More than 50% of the Fortune 100 use OpenStack,… And a third of global enterprise infrastructure decision makers see expanding the use of open source as a critical or high priority. 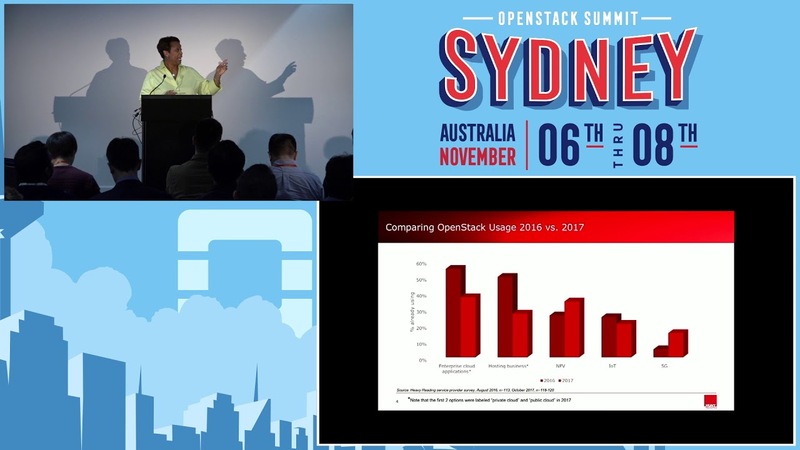 The OpenStack Foundation highlighted recent market share statistics, new users and updates from the broader open infrastructure community at its recent OpenStack Summit in May 2018. Download the presentation. Globally, 71% of service providers are either in production or plan to be in production with OpenStack in the next 12 months. That number goes up to 80% if you include respondents who plan to implement in the next 24 months. Telcos: 45% are in production and another 36% are in POC or plan to be in production in the next 24 months. Large service providers ($1bn+ revenue): 63% in production with 22% in POC or planning to implement in the next 24 months. IDC estimates OpenStack to be a $6.1 billion opportunity in 2018 and grow at an aggregate CAGR of 9.7% from 2016 to 2021. The OpenStack service market is projected to grow from USD 1.63 Billion in 2017 to USD 5.66 Billion by 2022, at a CAGR of 28.3% from 2017 to 2022. Fast and easy deployment, no compulsion of vendor lock-in, and advantage of wide community support are the factors driving the growth of the market across the globe. Global OpenStack service market is estimated to reach USD 8 billion at CAGR 29% through the forecast period 2023. OpenStack's rise as a credible cloud platform broadens open source's scope to cloud infrastructure orchestration, configuration, and management and plays a large role in enterprise cloud strategies….OpenStack interoperability has become a requirement for cloud management software. Nearly 70% of the organizations feel that OpenStack is vital to their cloud strategy to develop their existing KPI (key performance indicator). The increase in the demand for cloud-based solutions and services are driving the OpenStack service market globally. ...enterprise interest in open source doesn't stop at OpenStack. I&O teams at enterprises are embracing open source developer platforms, containers, and surrounding open source projects. Comcast hosts its X1 video service and Comcast Elastic Cloud platform on OpenStack, supporting millions of simultaneous users. And 1,500 Comcast developers work on a Cloud Foundry-based platform, employing a mix of supporting proprietary and open source solutions.Allstate, Bosch, BNY, Capital One, ExpressScripts, Ford, Gap, Honeywell, JP Morgan, Kroger, and Wells Fargo power hundreds of developers via open source platforms. Over 50% of the Fortune 100 use OpenStack. There were more than 30 open source projects represented by Vancouver Summit sessions in May. 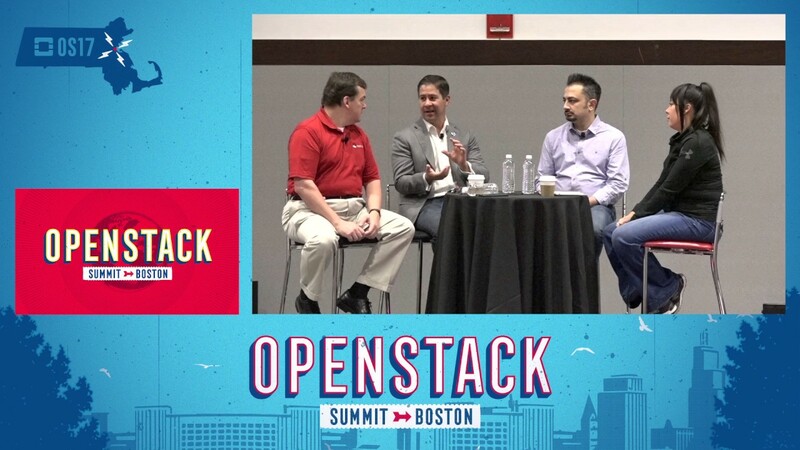 This Summit recap highlights the operators who are integrating open infrastructure in production and latest announcements from the OpenStack Foundation and its ecosystem. 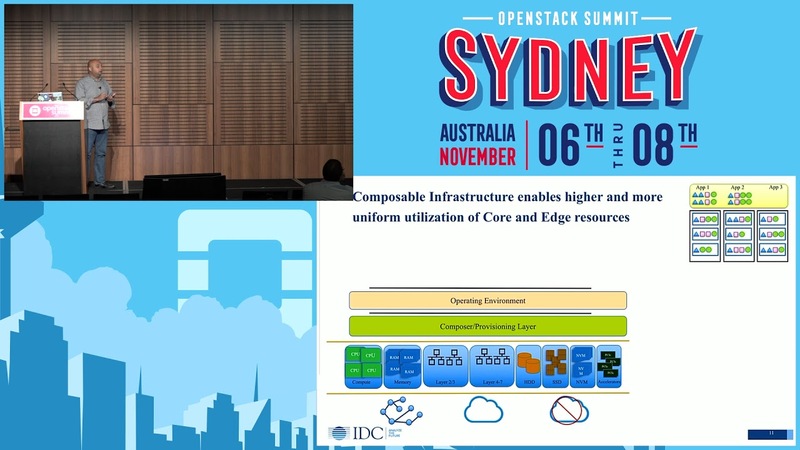 The Vancouver Summit also showed that, in the six months since Sydney, considerable momentum had been achieved with the OpenStack community’s focus on the use cases where individual open source technologies are collectively applied, including containers, edge environments, and continuous integration and continuous delivery (CI/CD). Examples of China UnionPay, China Mobile and China Railway leveraging OpenStack as a technology foundation to scale and transform their IT operations and, ultimately, achieve business outcomes have given the broader Chinese user community greater impetus to get a piece of the action….With business organizations taking a collaborative approach and working with OpenStack vendors to advance their cloud transformation strategies, we see a thriving marketplace in China's OpenStack landscape.